The JCC camps and programs provide a fun, safe and nurturing Jewish environment for learning new skills, developing self-confidence, and making new friends. When school’s out, the fun begins! 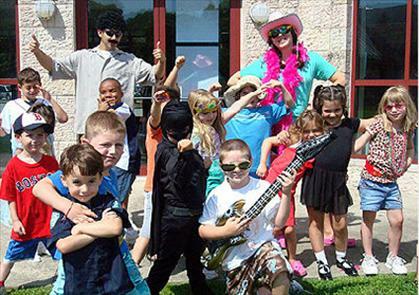 The JCC day, overnight and specialized camps and programs provide a fun, safe and nurturing Jewish environment for learning new skills, developing self-confidence, and making new friends. We are seeking general support and scholarship funds, particularly for the JCC Grossman, Maccabi Camp Kingswood, and Kaleidoscope camps. Our roots reach back nearly a century, to the once-Jewish enclave of Mattapan. There, the Hecht House welcomed immigrants from Eastern Europe's shtetls. Later, when these New Americans resettled in Brighton and Brookline, Cambridge, Chelsea, Quincy and Revere, they took the Hecht House model with them, creating Jewish Community Centers where they could socialize and relax with other Jews - and to strengthen their children's Jewish identities, a need that became increasingly apparent as Jews integrated within the broader community. The Associated Jewish Community Centers of Greater Boston (AJCC), a confederation of neighborhood JCCs, formed in the 1960s to achieve the economies of scale and strategic planning necessary for a burgeoning Jewish population. In the 1970s, the AJCC reorganized as the Jewish Community Centers of Greater Boston, bringing a regional approach to bear on a new chapter of Boston Jewish history, a time of geographic dispersion and loosening communal ties. 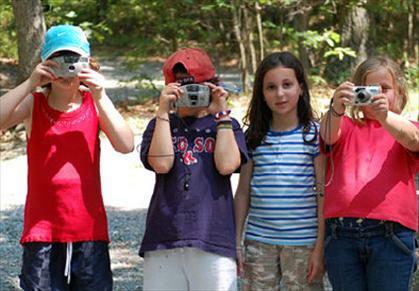 The JCC’s mission for camping is to engage children and their families in exploring their talents and interests in a Jewish context that supports building skills in specific activities, learning more about Jewish life and Israel, enhancing self-esteem and social skills, and creating a community with other campers and adults at camp. The mission relates to our organizational mission to advance the aspirations of families and individuals to enrich their lives, bodies and spirits, by providing the best in contemporary programs and experiences, informed by Jewish values for today's Jews and the people in their lives. 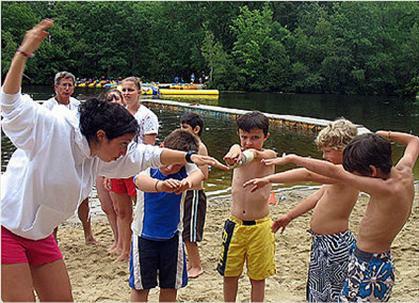 Positive Jewish camp experiences have proven to be a key factor in Jewish continuity; children that attend camps are more likely to self-identify as Jews and pursue Jewish choices in their lives. Our goal and objective is to be able to continue to provide as many children as possible with this experience, and to continue to build and maintain a physical infrastructure that promotes a healthy and positive experience for campers. Because Jewish camping is so critical to Jewish continuity over all, funding of this program is a key JCC priority and we both aggressively allocate for it and actively solicit financial support for it. Grossman, Kingswood, and Kaleidoscope are among the few pluralistic (i.e., non-movement) camps under Jewish auspices in service area. JCC Maccabi Camp Kingswood: "I went to this camp as a kid so it was really special that they have developed a special needs program (Zohar). The Zohar kids do all the same activities as the other kids do. Since Drew was only one of two Zohar kids during his week (with three counselors!) he and his counselor joined the typical kids and all their activities. They designed a written schedule for Drew to assist him and were very interested in doing whatever is necessary to ensure his success. Drew did everything—boating, attended a social (dance), swimming (twice a day-free swim and lesson each day), crafts, drumming, etc. … Drew was a complete success at camp!" "Camp for all three brothers would have never been possible without this financial assistance and we will be forever grateful. This may be a once in a lifetime experience for them so lets pray for wonderful weather and a great time for all!! … I keep thinking about the story you told me I think about a child going to Jewish camp and coming back with 50 more children to invite to their Bar Mitzvah!! Thank you and G-d bless all who made this possible." JCC Kaleidoscope Arts & Science Camp: "My daughter and son love the variety of the art projects, being involved in a play each term and the ability to swim each day and play outside. I truly believe Kaleidoscope is one of the most well-rounded camps around!! My son, who is five, took part in learning American Sign Language this past summer—a great opportunity. I felt very strongly that if it wasn't for his experience this past summer at Kaleidoscope, he would not have been as well prepared for kindergarten. He had fabulous counselors who really cared and helped him transition and stay focused and of course have tons of fun. " JCC Jacob and Rose Grossman Camp:" My son’s experience at Grossman was his first. What a beginning! Thank you all so much for creating and keeping alive a traditional “old school” Jewish day camp—just like the one I went to!" Youth ages 12-15 attend our camps either as campers or counselors in training (CITs), depending on their ages. We also encourage these campers to get involved in other programs under JCC auspices, especially Teens for Tzedek, the social action arm of our teen program, and the Diller Teens for Tzedek Fellowship, a leadership development program designed to support teens in exploring social action in the context of causes that interest them and building community with like-minded teens here and in Israel. We believe that the combination of a meaningful summer experience that contributes to enhancing self-esteem, developing interests and social skills, and being part of a cohesive community AND the opportunity to continue to do all of these in a structured format during the year not only attracts families to our program but is also a differentiator that attracts philanthropic support. Our roots reach back nearly a century, to the once-Jewish enclave of Mattapan. There, the Hecht House welcomed immigrants from Eastern Europe's shtetls.